Laser Guided Games announced the availability of Revolution Ace for PC on Steam. The game is priced at $11.99 with a 20% launch discount the first week. 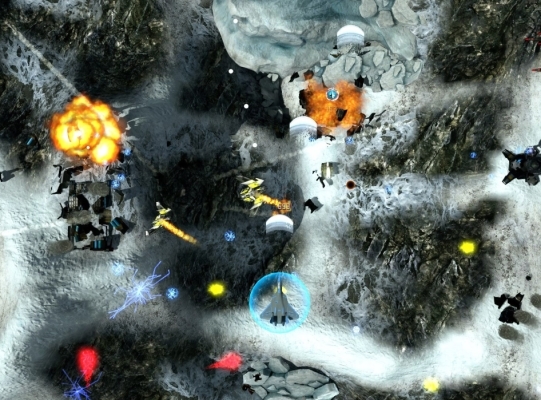 Revolution Ace is a topdown shooter with classic gameplay, modern accessibility and unique multiplayer where you fight a wide variety of air, land, and sea enemies with a customizable loadout of more than 20 weapons. Players level up to unlock more weapon slots and perks that add additional passive bonuses like piercing and shield stealing. Features of the game include: Versus Mode (side-by side players sending hazards cross the screen); Battle Chains (asynchronous competitive play); and local and online two-player co-op. Battle Chains is available on all platforms, while Coop and Live Versus are PC exclusive. More information can be found at the Steam store page.